Bayern München, one of Europe’s greatest and most distinguished football clubs, today announced that it will donate one million Euro to initiatives assisting refugees with shelter and support. The news hardly makes headlines, in spite of the fact that it is actually quite spectacular. 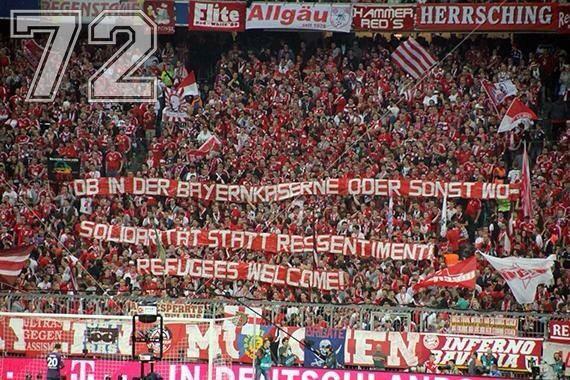 Organizations such as Bayern München are not normally known for generosity towards people other than their players, VIPs and sponsors; the fact that they now jump the bandwagon of grassroots support for (mostly) Syrian refugees tells us that it is, indeed, quite a bandwagon. And that bandwagon races ahead at an amazing speed and carries a rapidly increasing volume of cargo, in spite of European governments’ overwhelmingly discouraging response to calls for increased support and empathy towards those who seek refuge within the safe boundaries of the Union. Undoubtedly, historians will later write about the summer of 2015 as a moment in which the EU all but completely lost control over its own public image. The summer started with the brutal suppression of whatever attempt towards regaining sovereignty and democracy was made by the Syriza government of Greece. The results of a referendum were brushed aside without much ado, and barking “austerity! !” became the default mode of communication of the European institutions towards anyone raising even mildly critical questions about it. The EU emerged from the Greek budget conflicts bruised and scarred but with a stiff upper lip; large segments of the European population, in the meantime, had turned their backs on the EU, and probably forever. Greece was equally the scenery for the second wave of extraordinarily damaging events for the EU when hundreds of small and unstable boats, packed with refugees from the crisis areas in the Middle East, started arriving on the shores of the Greek Islands in the Aegean, often in dramatic conditions. I should be more precise, though. 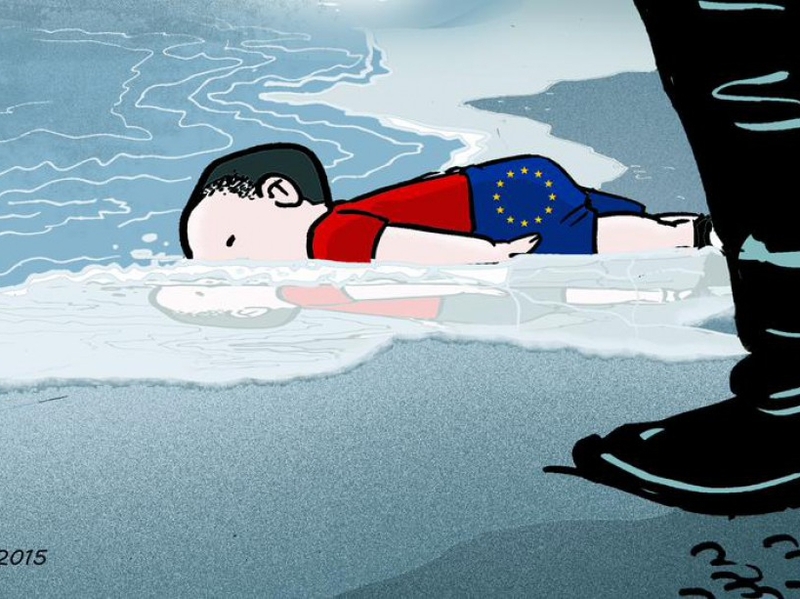 The damage to the EU, and to individual member states’ governments, was done when images of such arrivals were splashed on the front pages of almost any medium in the world. 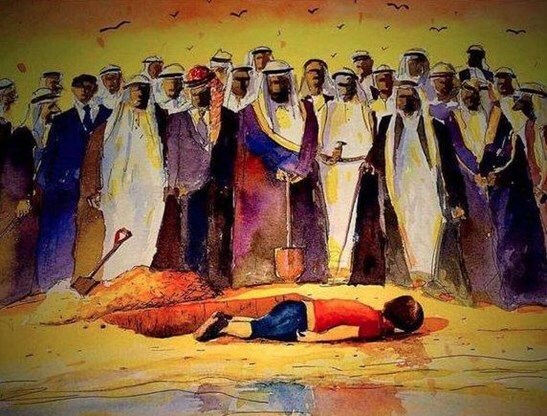 The “refugee crisis” (as it is now dubbed) started in April 2015. Sure, there were boat refugees prior to that date (Lampedusa, recall), but when hundreds of dead bodies (including those of women and children) were discovered by patrolling ships in the Mediterranean in mid-April, Pandora’s Box was opened. 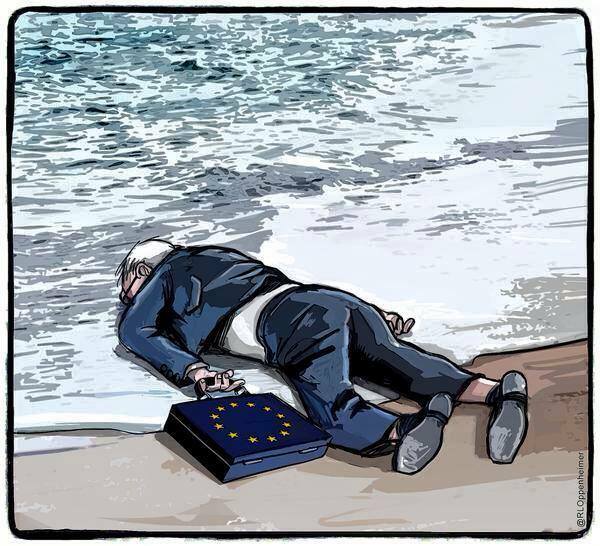 The EU’s “Mare Nostrum” policy was instantly blamed for this tragedy – a repressive policy of “keeping immigrants out” as part of what is now dubbed “Fort Europe”. The outcry was tremendous, and the EU leadership rapidly changed tactics, sending navy vessels on search-and-rescue missions and bringing, thus, thousands of refugees safely ashore. 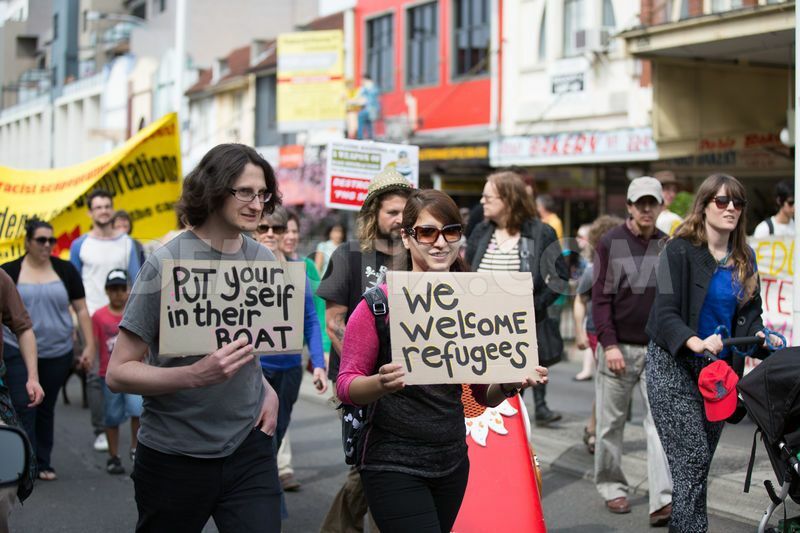 The “refugee crisis” started as soon as the ideological angle of debates on immigration shifted from the immigrants themselves to the political institutions refusing assistance or support to them. Until then, and for a couple of decades already, the political consensus (and its propaganda, of course) had defined immigrants in negative terms, as “adventurers” and “fortune seekers” who have no good cause to seek asylum in the EU and were basically here to take advantage of the wealth accumulated by hard-working EU citizens. Since good numbers of immigrants were Muslims, suggestions of terrorist “fifth column” threats were whispered, and the heavy metal of moralizing condemnation of such “irresponsible” people by European politicians blasted through every TV and radio speaker. A very large chorus of journalists, opinion makers and citizens on social media joined in. From mid-April 2015, the tone changed entirely. And the cause of that change was visual. 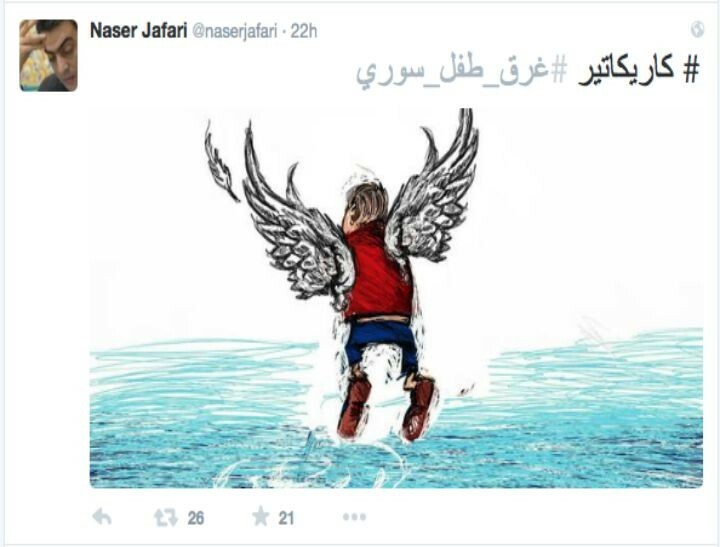 The bandwagon started rolling as soon as extraordinarily sad and painful pictures appeared from refugees who did not look like the “adventurers” of European anti-immigrant propaganda. They looked like innocent victims, and the visual confrontation with such “real” refugees was what caused an opinion shift in favor of supporting refugees, and increasingly critical of governments’ stubborn refusal to do so. The burden of “guilt” for what happened thus shifted from the shoulders of the immigrants towards those of governments who had been busy designing repressive anti-immigration policies and had, while doing so, also neglected the administrative and material infrastructures required for offering support to those who applied for it under the terms of international conventions. The real “crisis”, in that sense, became less a crisis of huge numbers of people entering the Union, than a crisis of the perplexing inadequacy of the systems necessary to cope with such numbers. The crisis became political. Before taking this argument further, a general point is in order. We live in a media-saturated society in which the supply of graphic images is virtually unlimited, certainly in an information market in which traditional mass media are complemented by vast volumes of social media broadcasting, in which citizen journalism, crowd-sourced information and virality are rapidly changing the rules of classical mass media propaganda. When Herman and Chomsky wrote their “Manufacturing Consent” (1988), they described a world in which the Murdoch empire could make or break governments as long as one applied the rules of propaganda. This propaganda model is in need of drastic revision at present: sure, Mr. Murdoch can still make or break governments, but he must keep track of a broad range of unpredictable (and uncontrollable) forces – true “mass (social) media” not within his control. The “light” communities of the social media age are still not taken too seriously by analysts of power and social structure; that is to their own peril, because we are seeing with increasing frequency and intensity how such “light” communities start behaving very much like the “thick” communities of classical social and political analysis. They abandon the quick-and-easy “clicktivism” often ascribed to them, move offline, get organized and start citizen movements and action groups, engage in new forms of economic transaction, and win elections. Politics, in that sense, has become considerably less predictable, for the rules of public opinion formation have been pluralized and dispersed over vastly more voices and actors, many of whom cannot be brought under control that easily. What happens to the EU now, consequently, came as a surprise to many of its leading politicians – the summer months are traditionally a period of political insignificance, in which the media and their publics get upset about trivial things. In 2015, if politicians switched off their monitoring tools in June and switched them back on in September, they found themselves in an almost unrecognizable world. I must get back to the images that triggered that change. 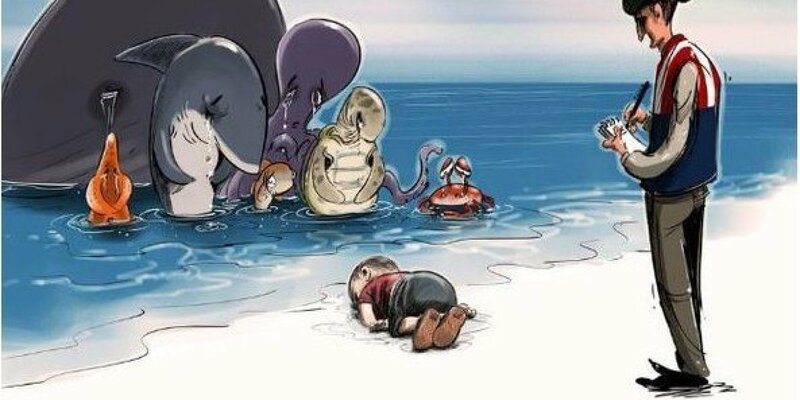 The refugee crisis of mid-2915 was documented by means of millions of pictures, several of which caused considerable impact. 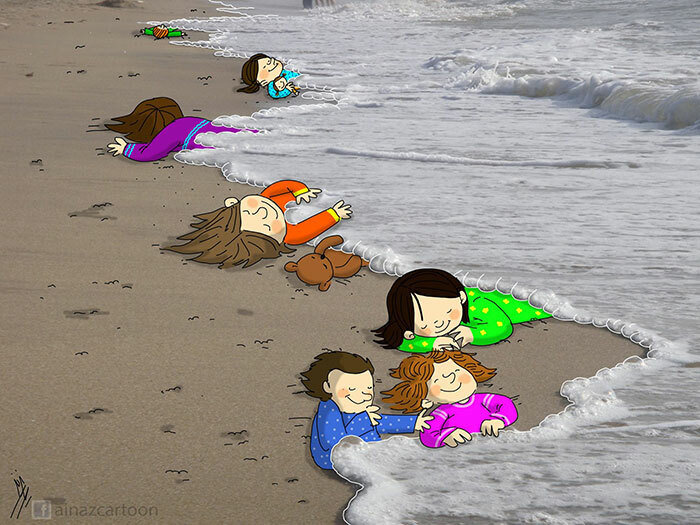 There were shocking pictures, of course, of the drowned victims floating in the Mediterranean; of refugees trying to enter the Channel Tunnel in Calais; of refugees storming trains in Macedonia and Hungary; of seventy-odd dead bodies of refugees in a truck somewhere in Austria; of police brutalities committed against refugees; of makeshift or formal “concentration” camps for refugees, and of barbed-wire fences being raised along the borders of countries so as to keep the immigrants out. 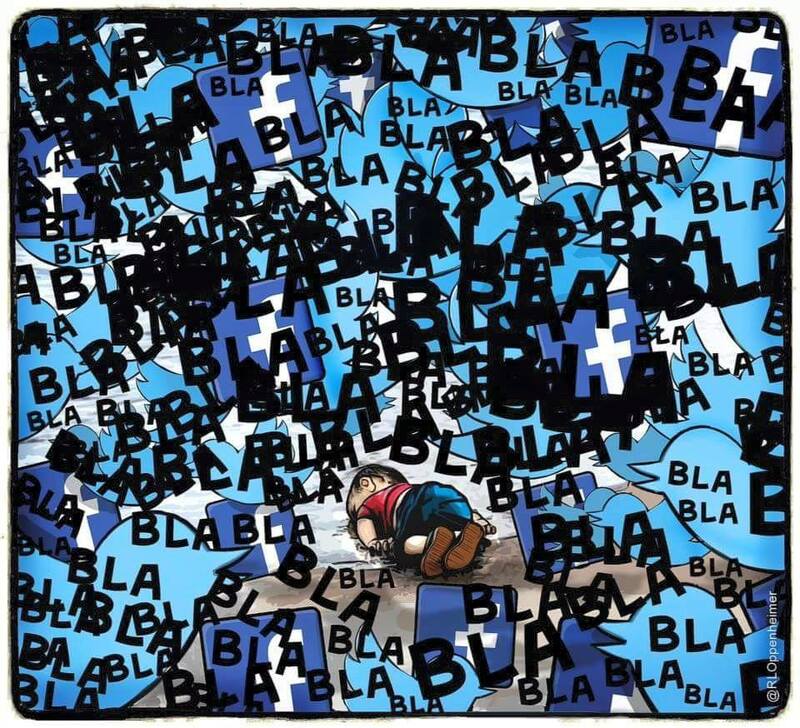 Of these millions of images, however, three specific ones have made a massive impact – they went viral, were shared millions of times on social media platforms, and triggered avalanches of angry and committed commentary both in mass and social media. There is little intrinsically exceptional to the pictures themselves – those who have followed reporting over the summer have seen better and worse ones, to be sure. Semiotically, the sequence of three photos represents an escalation from bad to worse, but that is all. So the question as to why these specific pictures were “chosen”, so to speak, to become the emblematic ones punctuating the rhythm of mass grassroots mobilization among EU citizens cannot be answered by merely looking at them or by dissecting the semiotic structures they represent. There is a greater randomness to the actual image than to its context – if we wish to understand the impact of these pictures, it is the context that should concern us, and it is the context that I shall try to address in a moment. 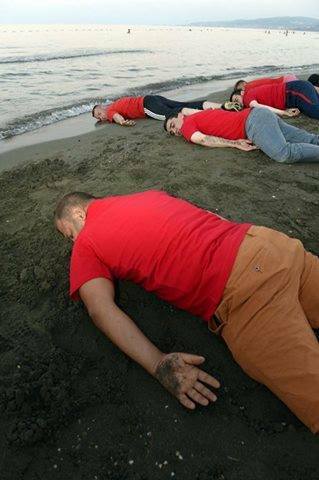 Let us first consider the three iconic images of the “refugee crisis” of the summer of 2015. The first picture started circulating towards the end of April 2015. We see a confused scene on a Greek island in the Aegean in which a woman is dragged out of the sea onto the cliffs by a man. The man is a Greek citizen, and the woman an Eritrean refugee, whose boat had crashed into the cliffs just minutes earlier. The woman was pregnant and gave birth shortly afterwards. This image was widely shared and intensely commented and discussed; the protagonists were interviewed and became modest celebrities for a short while. The supposed “danger” of immigration was here represented by a pregnant woman from Africa – not someone who corresponds to the propaganda stereotype of the young masculine fortune seeker, but a person embodying extreme vulnerability. The woman is a victim, not a perpetrator, and her face tells a terrifying story. Saving someone in that situation from an almost certain death is morally unchallengeable: it is something good, something we all have a duty to. 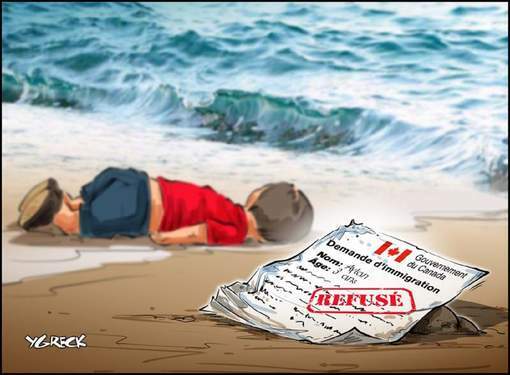 Discussions on social media fora, consequently, quickly struck an outspokenly moral tone: the refugee crisis had become a question of good versus evil, and if governments remained hesitant or reluctant to welcome such people, the governments were a rotten bunch. The impact of this picture was considerable for a while, until the headlines gradually started focusing on the Greek Syriza-Trojka drama which occupied most of public opinion in June and July. But then the second photo started circulating. The second picture appeared in August; the scene and setting are almost identical to the first one. 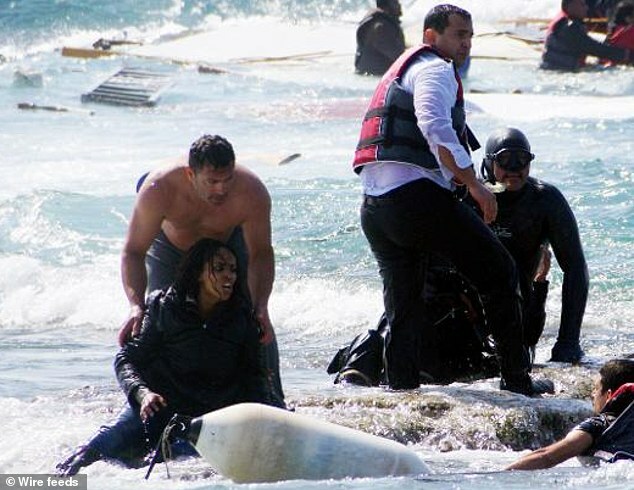 We again get a “landing” scene, of refugees on the rough shores of a Greek island, at dawn. An adult man, crying, holds a child in his arms and hugs another, while victims and rescue workers fill the background. 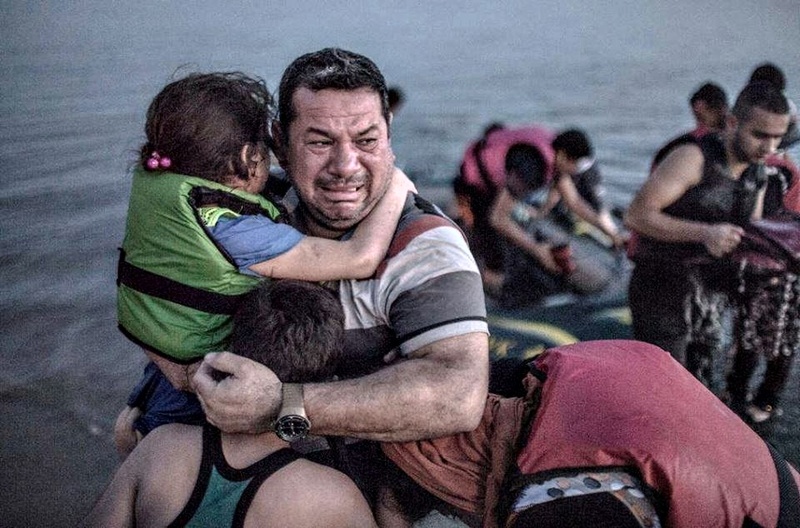 This picture suggests a parent-child frame: a father in deep distress holding that radically vulnerable type of human in his arms – his children. Again, these are victims, and it is impossible to read anything else into this image. It is equally impossible not to imagine, and sympathize with, the misery experienced by the man, or his emotion at the moment he knows that his children are safe and alive. 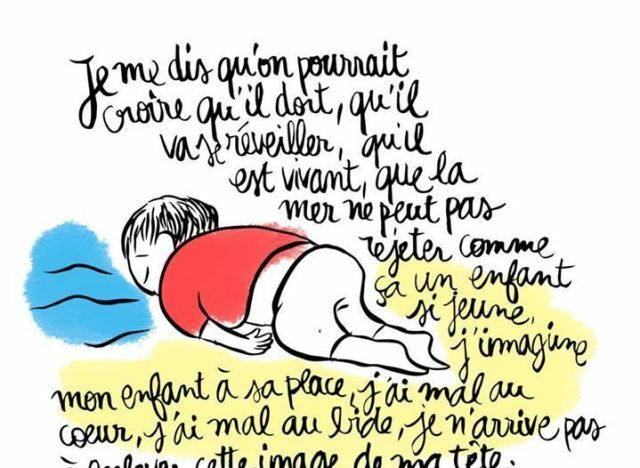 As a footnote we can add here that, semiotically, children connect the three photos – from a pregnant woman to a father with his kids, and soon towards the lone child: there is a line. But this is a footnote. 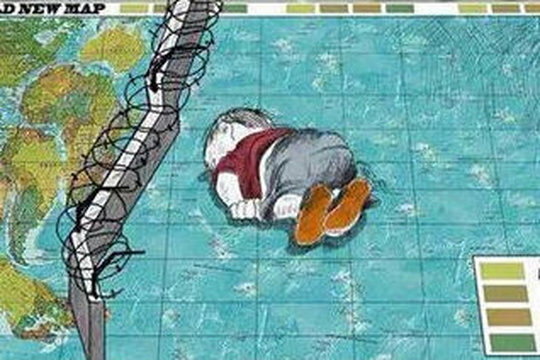 This picture went viral; memes were developed on the basis of this image, and it circulated with angry captions directed at the insensitivity and incompetence of governments turning such innocent people away from their borders. The picture revived the theme of refugees after some weeks of relative quiet, and it circulated in an expanded range of audiences. Its mobilizing force was obvious, and citizen movements started forming in several places in the EU. In the first days of September, the third picture was released and hit the public like a nuclear bomb. 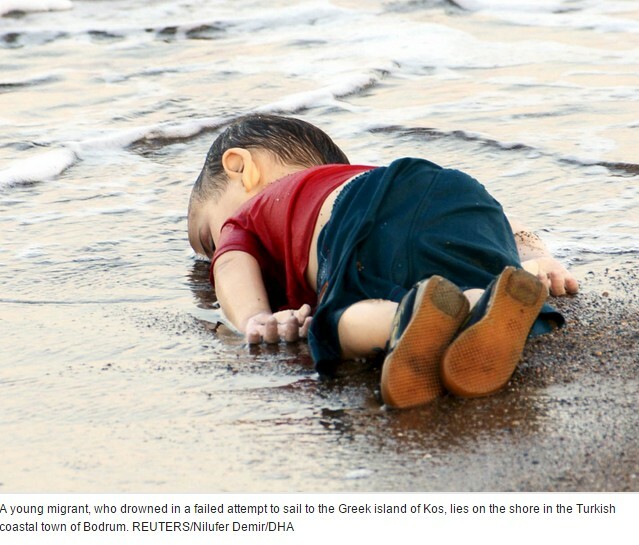 That radically vulnerable type of human being, a child, was still alive and with his father in the second photo. 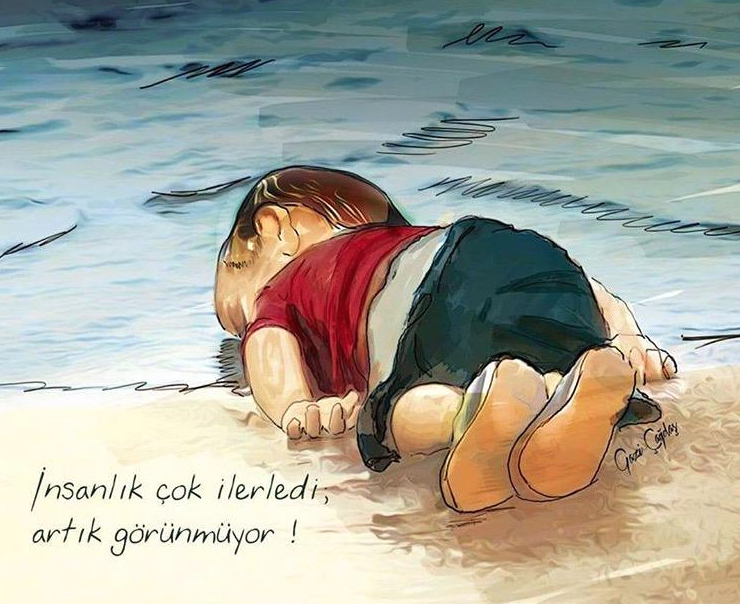 In the third one it is dead and abandoned, lying as if asleep on a beach near Bodrum in Turkey, fully dressed and very, very small. If ever there was an image of an innocent victim, this is it. Not much more needs to be said about this photo because whatever can be said is utterly distressing. 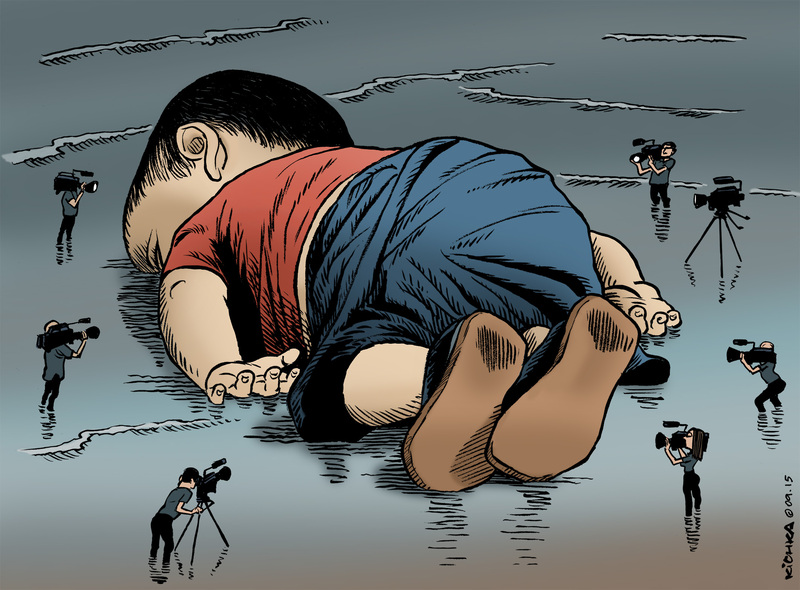 But the picture went viral in a global community, it instantly gave rise to memes and caricature replicas (see the image on top of this essay and the postscript below), it provoked hundreds of opinion and editorial articles in the mass media, and forced politicians to speak out. Even David Cameron, adamant until then about the UK’s refusal to accept more than a token number of new refugees, sounded mellow when he announced his willingness to accept a significantly higher number of refugees. 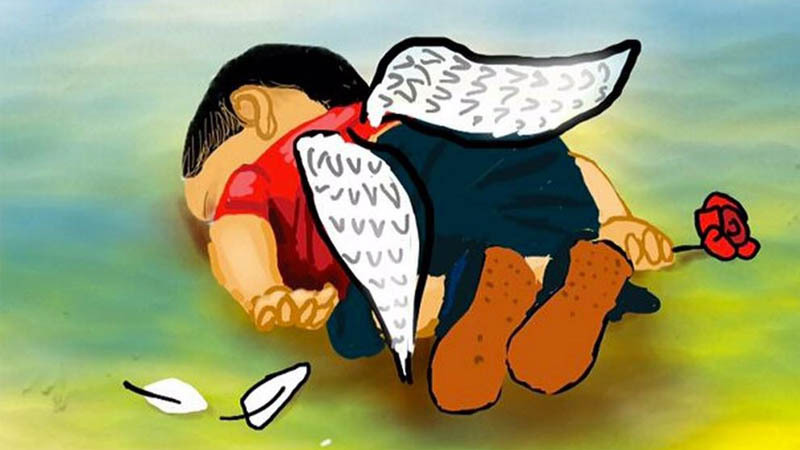 The photo of Aylan (the boy’s name) had become a public opinion B-52.. The publication of this third photo generated a mass of active solidarity across Europe; it is this photo that persuaded Bayern München to donate one million Euro for such purposes. 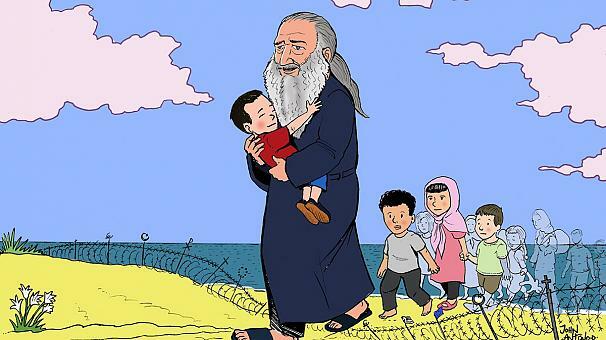 In The Netherlands, over one hundred celebrities published an announcement in newspapers stating their willingness to personally host refugees, given their government’s extreme reluctance to take appropriate action in this direction. Similar actions were noted in France and Belgium. In Finland, the Prime Minister (not someone known for left-wing sympathies) announced that he would host asylum seekers in his private residence. 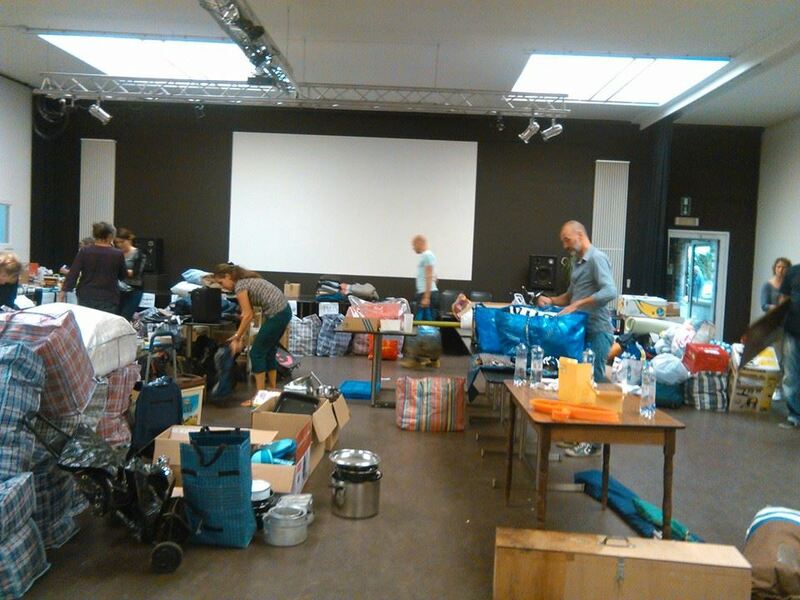 In Belgium, an entirely spontaneous movement had formed, started by one individual on Facebook, collecting clothes, foods and other crucial items for the benefit of the thousands of refugees camping out in an informal settlement in Calais. In a couple of weeks, the movement grew spectacularly and acquired an amazing level of organization and effectiveness. 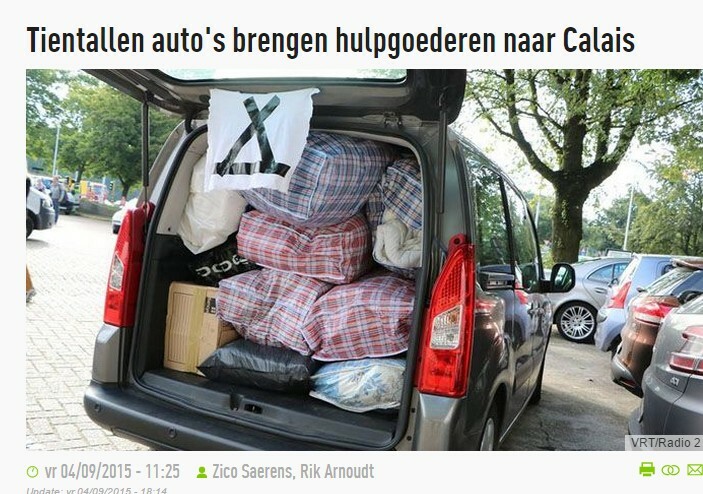 The massive public impact of the third picture made today’s convoy of this movement to Calais suddenly headline news. 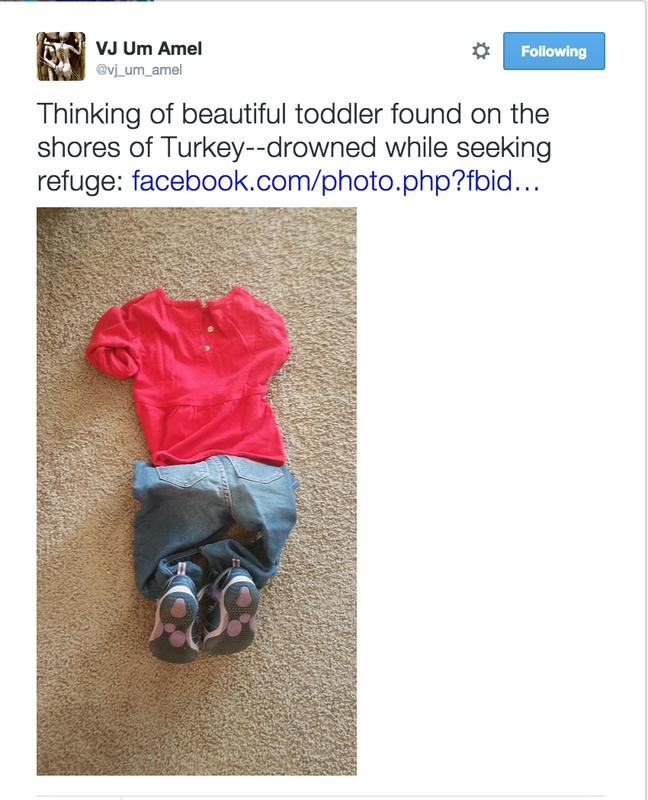 Three photos, thus, shifted the balance of public opinion on refugees in a matter of months. They became emblematic, not just as images of the crisis but also as pointers to the moral positions people can assume in relation to it. And morally, the debate is polarized: inactive or hesitant government personnel, PEGIDA and other racist actors are now the target of moral stigmatization, while support for and empathy with refugees is morally qualified as a self-evident instance of “good”. This moral polarization shows us, perhaps, one of the engines pushing the “light” communities of social media offline and into the realm of social and political action traditionally reserved for “thick” communities. Moral causes have become the fuel for a new type of formal-informal voluntarist politics. 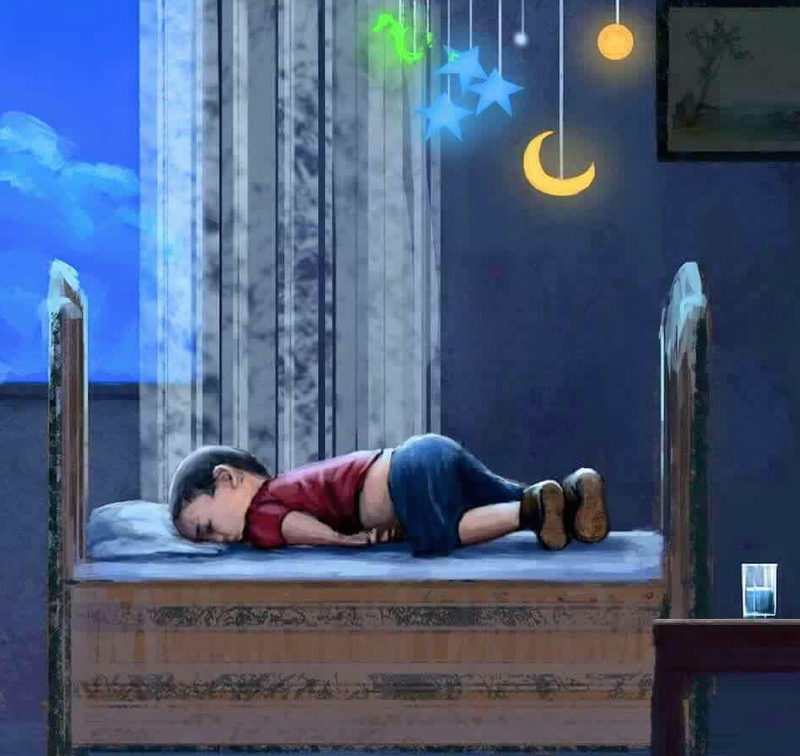 There, too, the focus of moral outrage was a child, terribly hurt by military actions officially targeting an “enemy”. And the picture had a seismic effect on US public opinion on the Vietnam War. This phenomenon was, however, quite exceptional. Given the tremendous affordances of the new media environment in which we now live, much more of this is to be expected. There is no predicting whether any instance of it (let alone which instances) will have the mobilizing effects of the three photos discussed here. But what may be predictable is that governments can, and will, be confronted with mass grassroots moral opposition whenever it happens; and that they have very little control over what will cause such trouble, and when. They will leave such conflicts badly injured if they fail to appreciate that such forms of moral opposition have a more “absolute” character, and are therefore far more “popular”, more compelling and less liable to compromise, than the good old ideological conflicts and disagreements that structured the field of politics for so long. Some will call it populism, no doubt. But it is a grassroots populism – like it or not – that is rapidly changing the rules of politics.